Select Settings on your QuickSilk dashboard. Scroll down to your Settings. 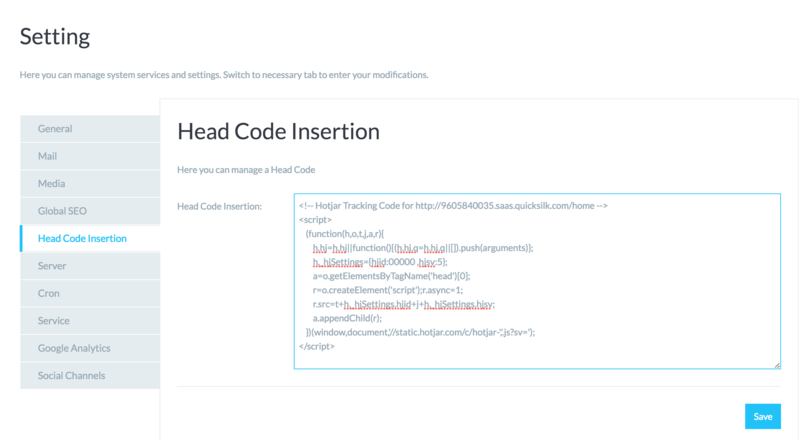 Select the Head Code Insertion tab on the left-hand​ side. In the input field, paste your Hotjar Track Code and click Save.